The right is emboldened, yes. But it’s not in the ascendancy – Gary Younge. When there’s a cloud this large and foreboding no lining, silver or otherwise, will suffice. 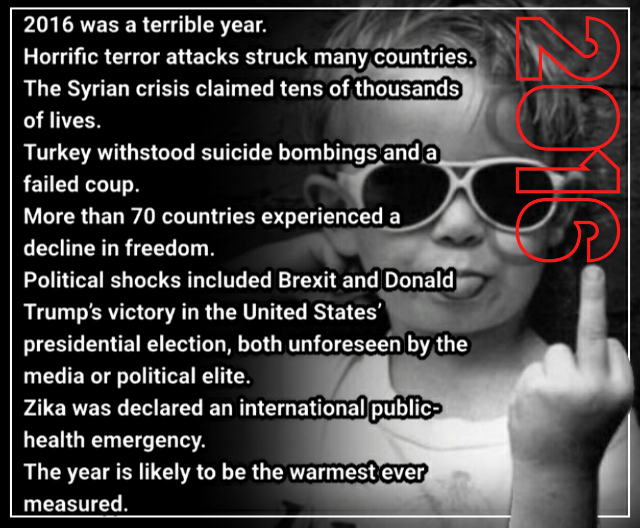 This was a year in which vulgarity, divisiveness and exclusion won – a triumph for dystopian visions of race, nation and ethnicity. Those thought dangerous and marginal are now not only mainstream, they have power. Immigrants and minorities are fearful, bigots are emboldened, discourse is coarsened. Progressive alternatives, while available, have yet to find a coherent electoral voice. 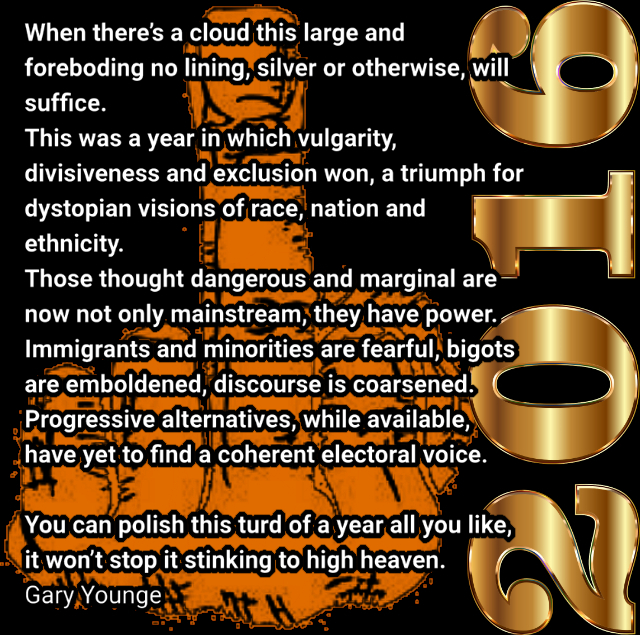 You can polish this turd of a year all you like – it won’t stop it stinking to high heaven. But while the prospects for hope are scarce there is, none the less, one thing from which we might draw solace. The right is emboldened but it is not in the ascendancy. The problem is that the centre has collapsed, and liberalism is in retreat. There is nothing to celebrate in the latter but there is much to ponder in the former. It suggests that this moment is less the product of some unstoppable force than the desperate choice of last resort. Americans did not turn their backs on a bright new future but on a candidate offering more of the same at a time when the gap between rich and poor and black and white is growing. Nor did most of them vote for Donald Trump. Not only did he get fewer votes than Hillary Clinton, but he got a lower proportion of the eligible vote than Mitt Romney in 2012, John McCain in 2008, John Kerry in 2004 and Al Gore in 2000 – all of whom lost. Previous PostAustralia’s Death by Numbers – Roger Cohen. Next PostTrump Twitter – Robert Reich.